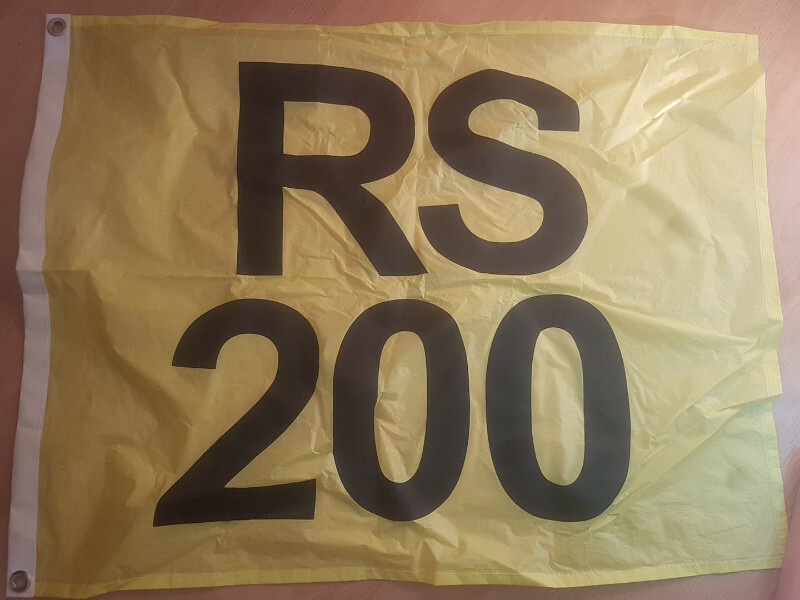 RS Class flags, approx 75cm x 55cm made by Hyde using spinnaker material. Each has class name, e.g. RS200 in black on soldi background. We will be palcing a bulk order on 7th April for anticipated May delivery.